Egyptian shuttle bus service startup Buseets has raised investment from Cairo Angels & 500 Startups, Cairo Angels announce yesterday. The size of investment was not disclosed but it was also joined by some other international angel investors from Singapore and Gulf. 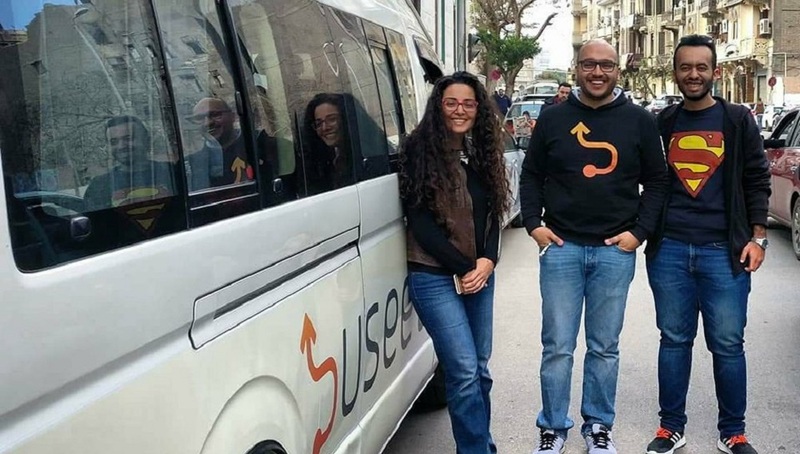 Founded last year by three friends, Amr El-Sawy, Khaled Moawad and Mohamed Abdel Aziz, who have previously worked for companies like Microsoft and LinkDev, Buseet is a premium mass transportation platform that offers commuters with modern buses, which are cheaper than Uber and Careem and better than the public transportation options. Currently available in Cairo and Alexandria, Buseet plans to expand its services to Dubai very soon. The startup was part of Dubai’s Startup Bootcamp Accelerator’s first cohort that graduated last year. They plan to use the investment to increase its product offering and expand to other markets of MENA. Aly El Shalakany, Chairman of Cairo Angels, said: “We are very pleased to have closed the Buseet deal and to have co-invested in this opportunity with our partners 500 Startups and other Angels. We are very confident that Buseet can compete and continue to deliver a compelling solution to a very real problem that is clearly identifiable across emerging markets and beyond”. The investment comes at a time when both Uber and Careem are preparing themselves to move into this space. Careem, yesterday announced the acquisition of an Indian shuttle bus startup Commut, to accelerate its expansion into bus bookings across all the 100 cities where they operate.